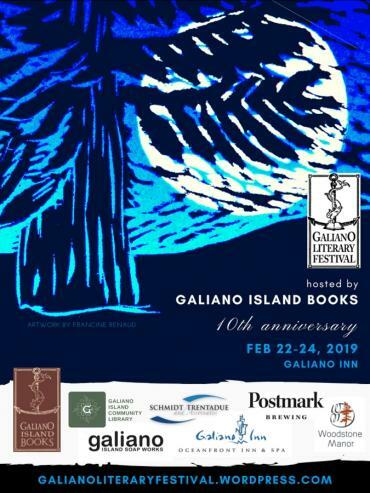 Very thrilled to announce I will be a presenter at the Galiano Literary Festival held at the magnificent Galiano Inn February 22-24. Lee Trentadue and her team have selected many wonderful authors, including Darrel McLeod (Mamaskatch) Helen Humphreys (The Ghost Orchard) and Sarah Cox (Breaching the Peace). I will be reading from Whale in the Door as well as singing songs about Howe Sound on the morning of February 24.